At Stoughton Eye Care & Eyewear, you will receive the most comprehensive eye exam possible with the most advanced technology. We will take the time to listen to you because we understand how scary and frustrating it can be to talk about your eye conditions and problems. Your eye health findings will be clearly explained and visualized so you can better understand your eye health. Thorough eye health evaluation including screenings for glaucoma, dry eye disease, macular degeneration, diabetes, retinal detachment, floaters, cataracts and more. We believe early detection and treatment of eye diseases is imperative to maintain eye health and prevent vision loss. 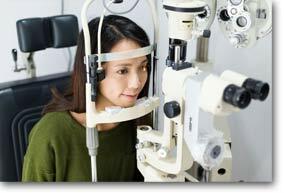 Regular preventive care is critical for preserving clear, healthy vision throughout your life. We are now the one of a few offices in the state offering Lipiflow, the only FDA cleared device to provide inner and outer eyelid therapy for Dry Eye. Learn more at: dryeyeandmgd.com/, or schedule an ocular surface evaluation to day to see if you are a good candidate. See Clearly and Feel Spectacular when you visit Stoughton Eye Care & Eyewear!